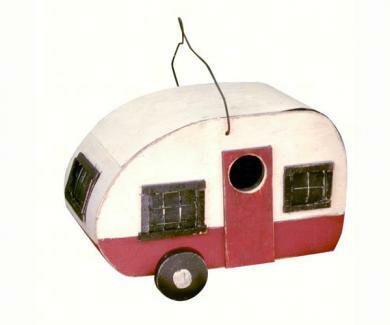 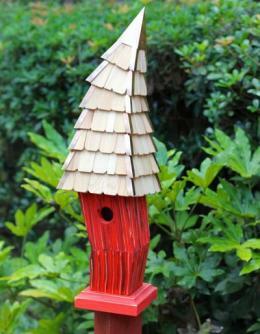 We all love bird houses! 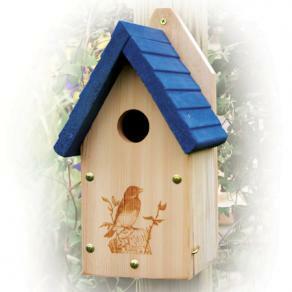 Landscape your yard for the birdsBy providing trees and plants that attract birds, you will be doing your part to help the environment, birds and other wildlife. 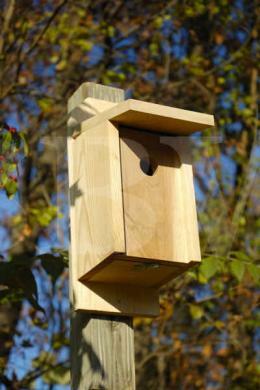 Think about what your home has taken away from the wildlife that occupied the area before you. 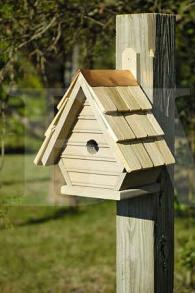 Provide food, shelter and water for the wildlife that surround you by incorporating it into your lanscaping. 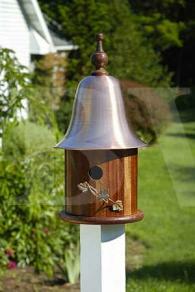 This can all add value to your property while adding beauty and tranquility to your environment as well. 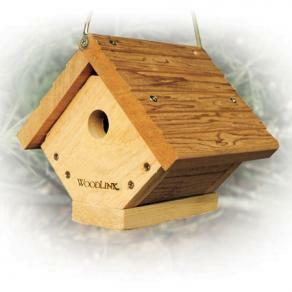 If you build it for them, they will come.The reason birdhouses are used by birds is they have the same function as tree cavities in the wild. 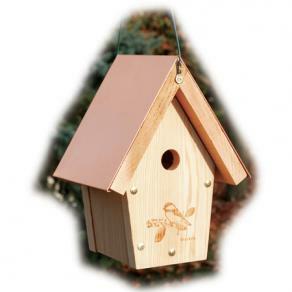 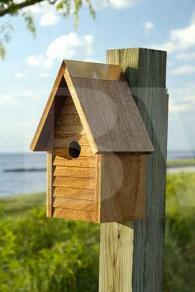 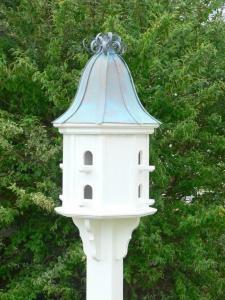 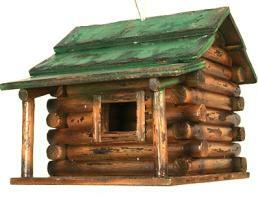 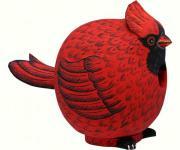 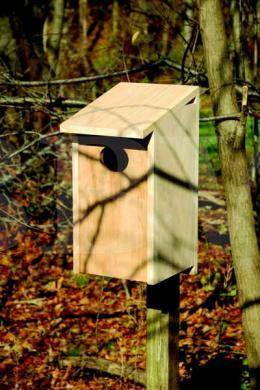 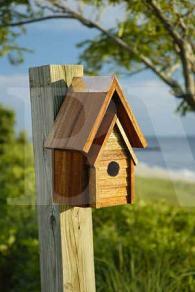 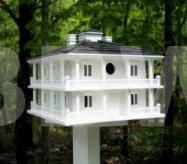 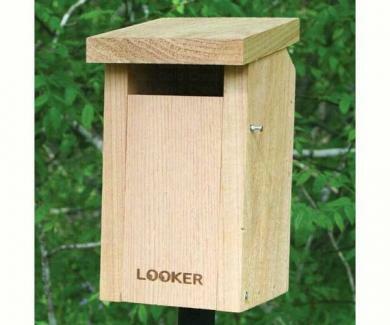 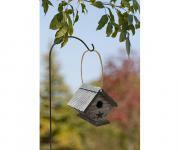 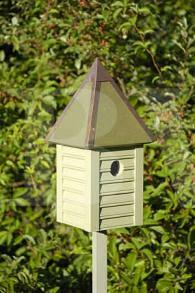 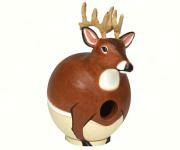 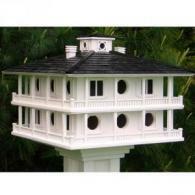 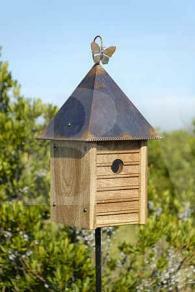 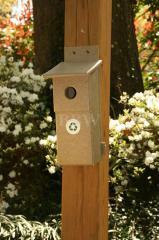 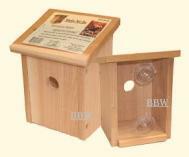 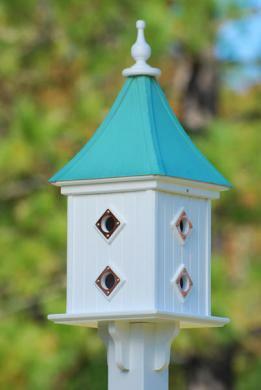 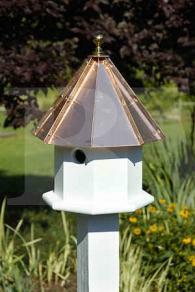 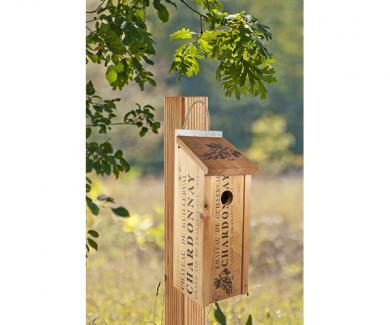 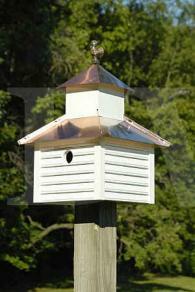 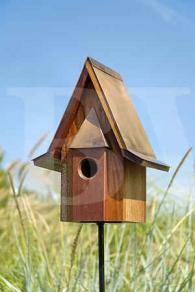 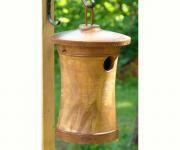 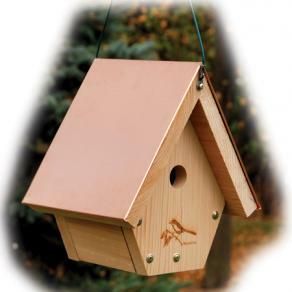 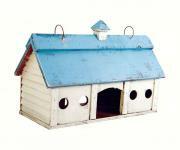 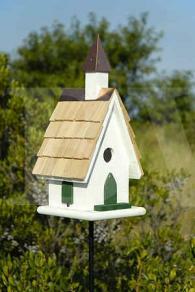 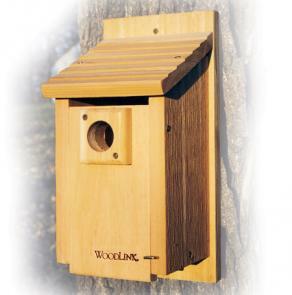 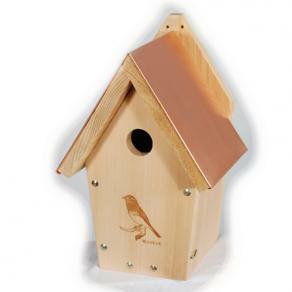 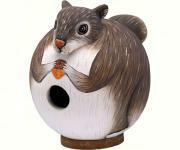 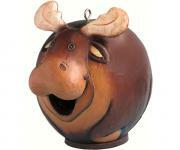 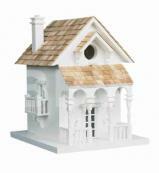 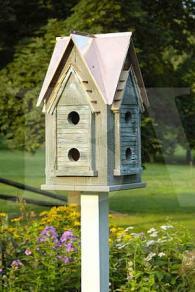 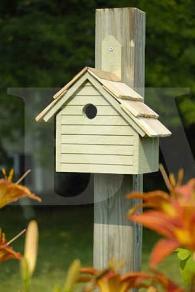 By watching birds in their natural habitat you will get a good idea of where to put your birdhouse or Bird feeder. 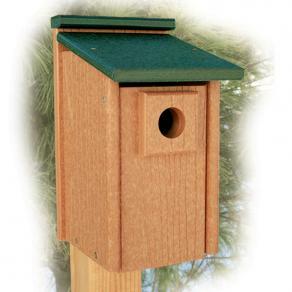 *NOTE:Robins prefer nesting on a nesting shelf. 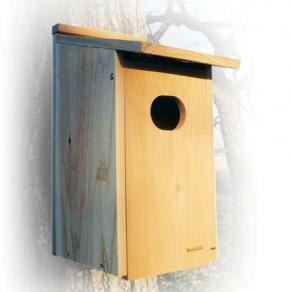 This is a nestbox with a bottom, 2 sides and a roof. 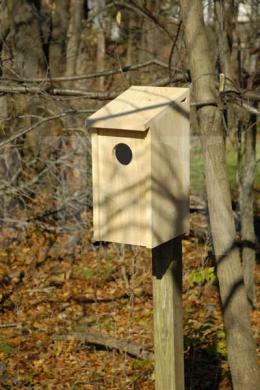 The front is open and the nest is visible from the front. 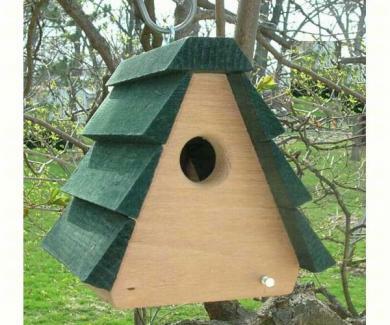 Choose the right material to build your birdhouses. 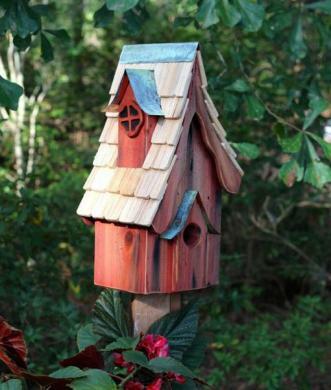 Birds in the wild, nest in old trees, fence post or utility poles, wood is the preferred material for building bird houses. 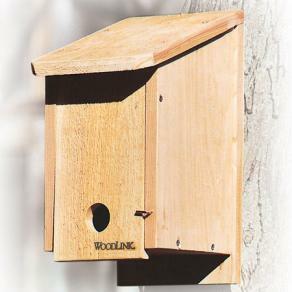 Ideally, a naturally decay-resistant wood such as cedar, redwood or a good grade of exterior plywood is best for building bird houses. 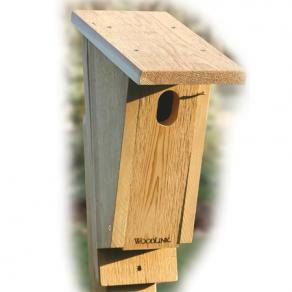 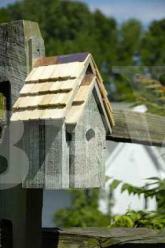 Wood should be 3/4" thick anything less will allow heat to build up which is detrimental to young birds. 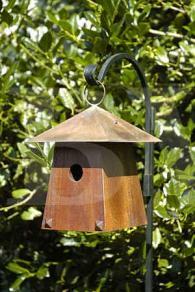 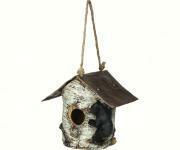 Avoid using paint, especially dark paint (absorbs heat) Natural looking houses will be more attractive to birds. 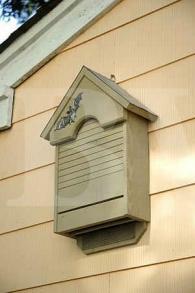 Make sure that you provide proper drainage so as to keep the nest and its contents dry. 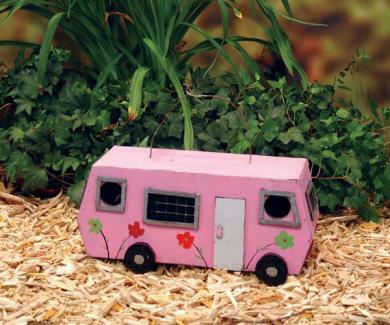 You can do this with an ample overhang on the roof and 1/4" drain holes bored in each corner of the floor. 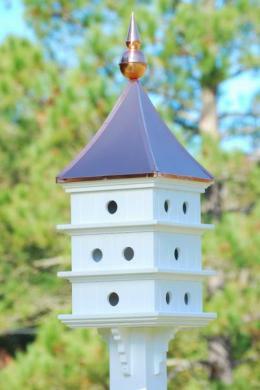 Ventilation can be provided by drilling 1/2" vent holes at the top of each side or with a ventilation gap between the roof and sides. 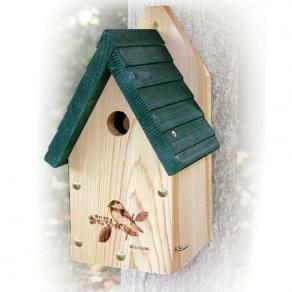 The hole dimension probably is the most critical when building bird houses. 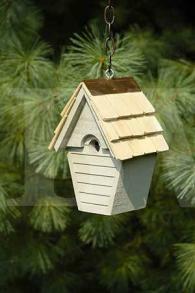 If it is too small, your chosen bird species may not be able to enter the house. 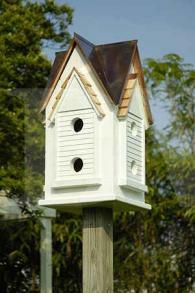 If it is too large, it could allow bigger, more aggressive species such as starlings or sparrows to use the houses. 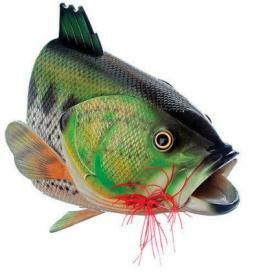 Predator guards are another necessary feature. 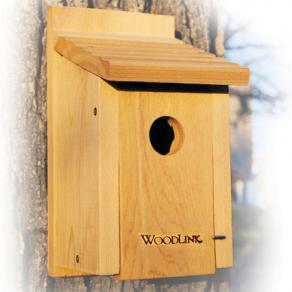 These can be as simple as an additional piece of wood at the entry hole to add more "depth" to the face of the box. 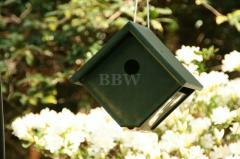 This makes it more difficult for a predator to reach into the nest. 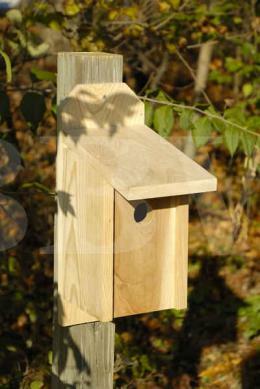 You also can drill the entry hole at an angle to deflect a predator's reach up and away from the nest. 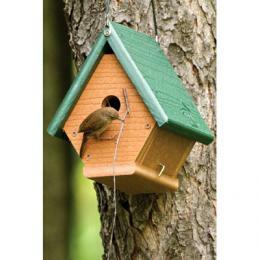 Never add a perch when building bird houses. 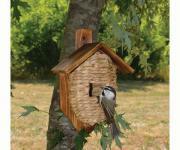 Birds don't need it, but it could be an advantage to predators. 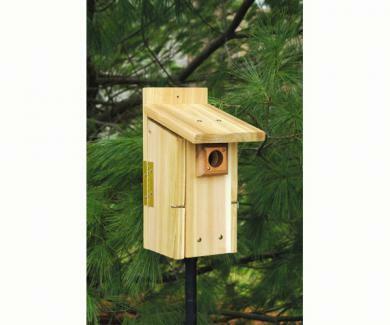 Once the young are ready to fledge, building an easy exit is necessary. 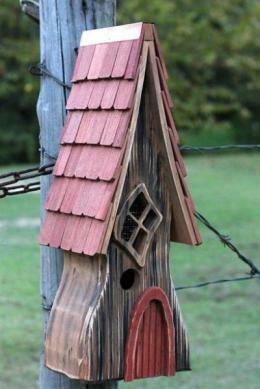 This can be done in several ways. 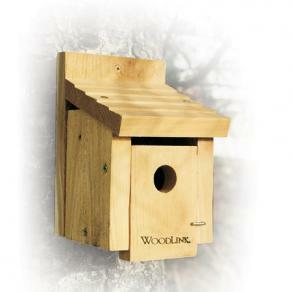 You can place the rough side of the wood to the inside of the house, you can score the inside of the box or you can add a piece of small gauge screen or small pieces of wood to act as a ladder for the young birds. 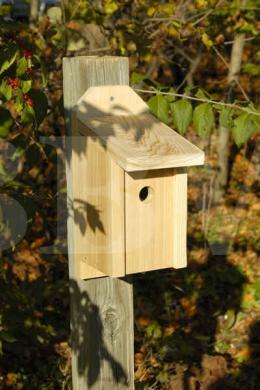 You also must provide easy access for clean out. 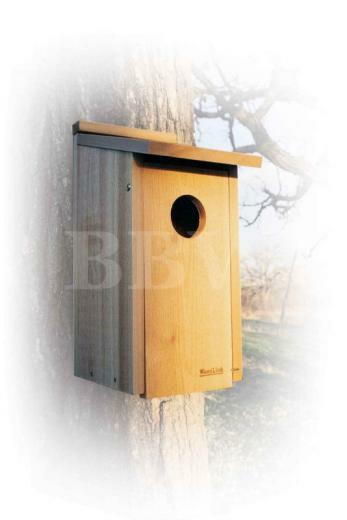 You can do this simply by hinging the front panel or one of the side panels or by having a removable floor or roof. 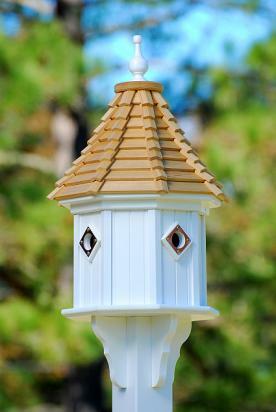 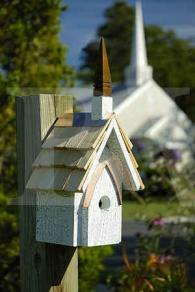 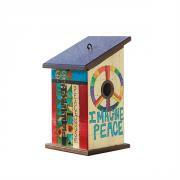 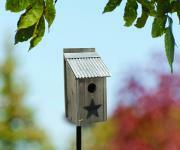 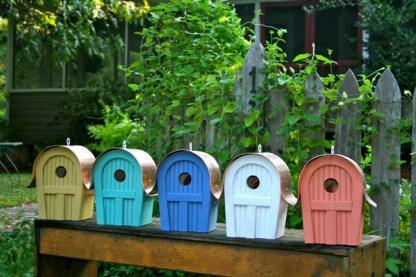 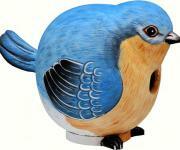 Building bird houses is a hobby that can be fun and rewarding. 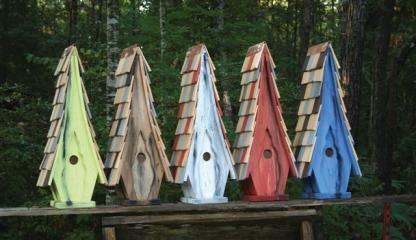 Consider giving bird houses as gifts to friends and family. 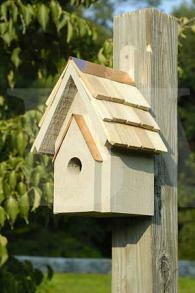 Even if they are not now a birdwatcher, they might become one once they see a family of birds nesting in the house that you built.